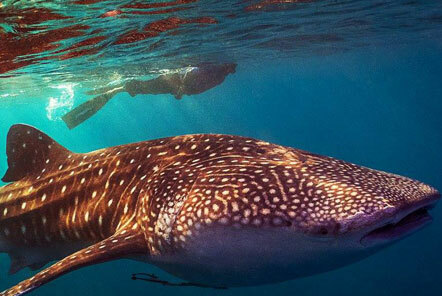 It has been an exciting week for conservation volunteers in Koh Tao as volunteers spotted two amazing whale sharks right off the island's coastline! 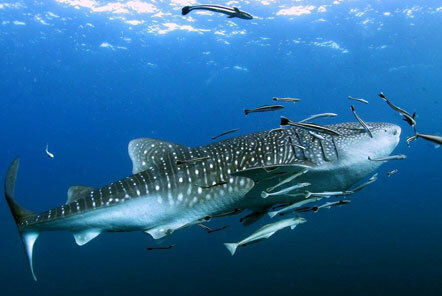 Whale sharks – the world’s largest fish – are occasionally spotted around the Chumphon Pinnacle in Thailand however sightings closer to Koh Tao are much rarer. 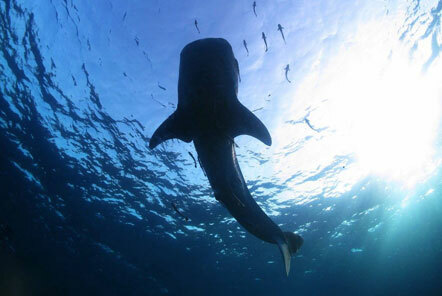 As the project team were returning from a dive in the local bay, news was heard that a whale shark had been sighted over on Shark Island – just 15 minutes away. Although the chances were low that it was still there, the team headed over in their long tail boat immidiately to try and catch a glimpse of the very rare whale shark. 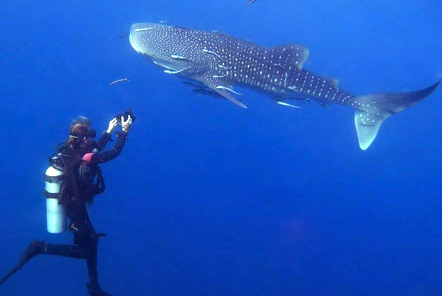 We are delighted to say that not only did they spot one whale shark, they saw two! The team at the Marine Conservation project were able to get some amazing photos! The larger one (around 4-5 metres) was spotted by interns Pau and Alex and had very distinctive features including scarring on its mouth and back. 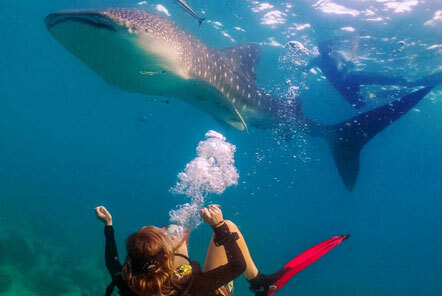 The second (around 2.5 metres) was spotted by other members of the team and they were able to spend around 45 minutes swimming with the beautiful creatures. Whilst whale shark sightings are rare, volunteers at the Marine Conservation project do regularly sight rays, turtles and other shark species throughout the year.